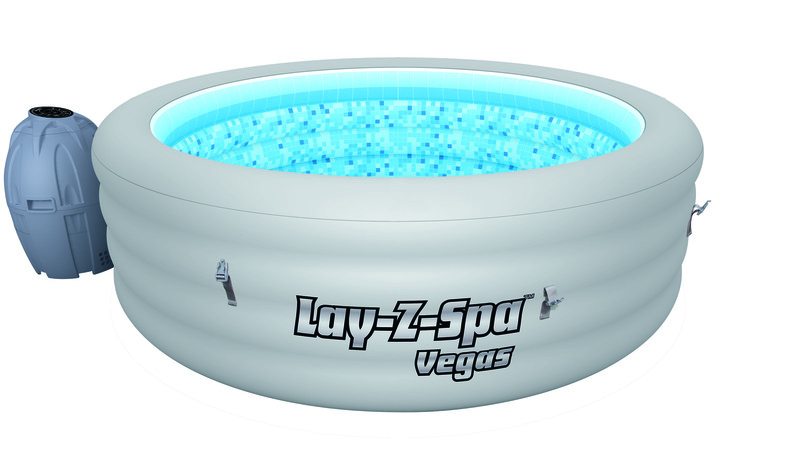 The Lay-Z Spa Vegas Pool is a compact hot tub for those indulgent moments. 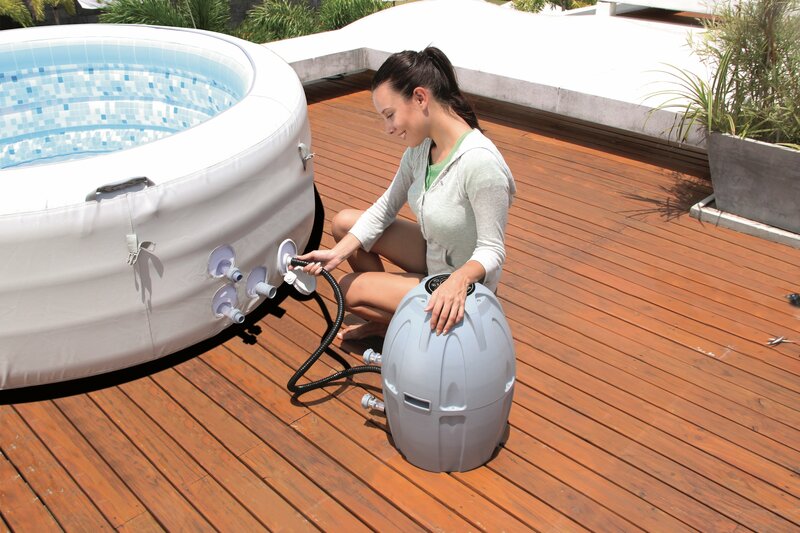 A hot tub is the latest garden accessory essential – with the added advantage of being easily portable. 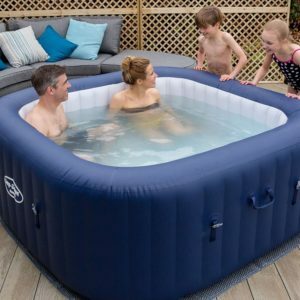 Relax in the hot water and bubbles with friends and family whatever the weather, with room to fit 4 adults. Once drained it can also be easily removed around your garden or stored away. A rapid heating system will warm the water by 1.5-2°C degrees per hour up to a maximum of 40°C and it comes with a handy set-up DVD to talk you through all the processes. The digital control panel lets you see what the water temperature is in either celsius or fahrenheit, as well as making adjustments to the heat, water filtration and massage bubbles. 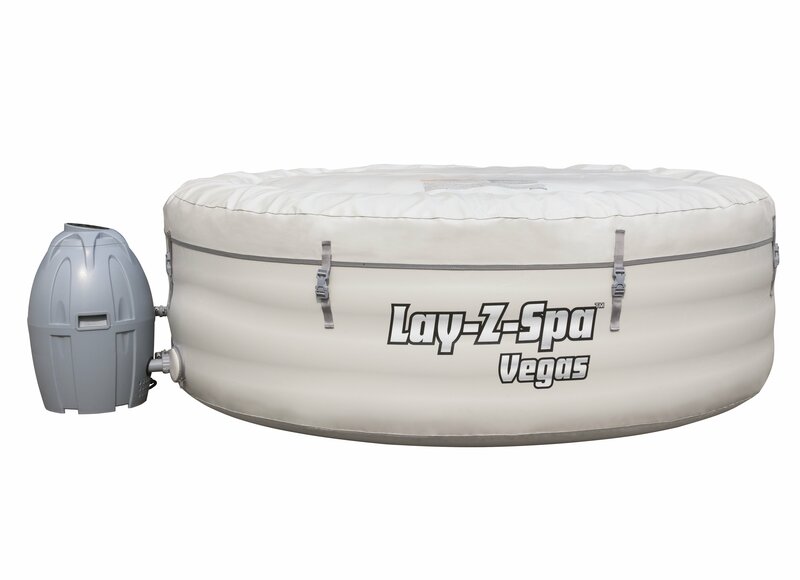 The Lay-Z Spa Vegas Pool comes with a leatheroid cover that clips securely to your hot tub pool to ensure the water remains clean and the warmth lingers for as long as possible. 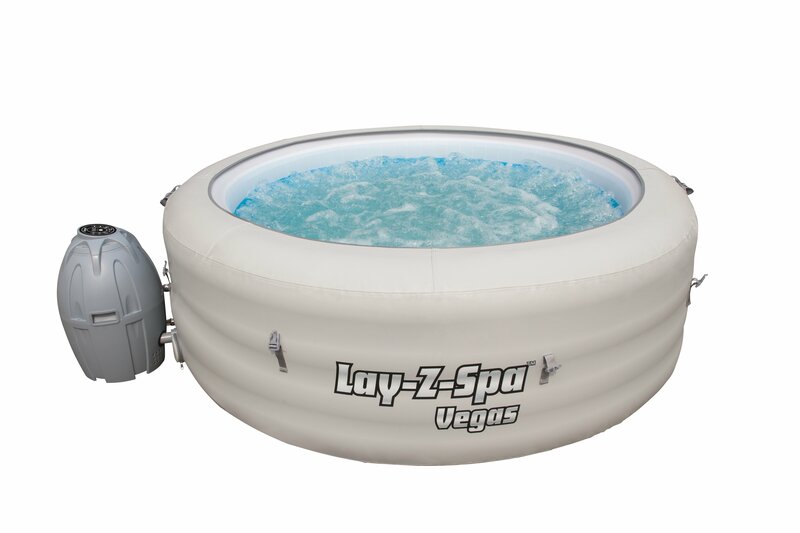 We estimate that it costs around *£7 – £10 a week to run the Vegas based on feedback we have had from our customers (*this is an estimate and does not take into consideration specifics such as electricity supplier and use frequency).